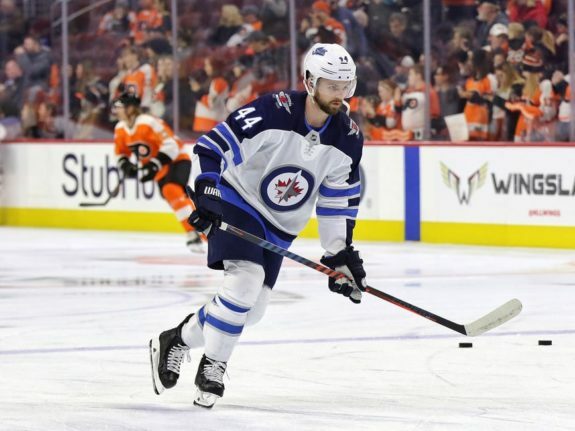 Josh Morrissey is revved and ready for Game 1 of the Winnipeg Jets’ first-round matchup against the St. Louis Blues. Come Wednesday night’s puck drop in downtown Winnipeg, he will have gone nearly two months between games after missing the last 20 due to an upper-body injury he suffered on Feb. 24 against the Arizona Coyotes. Despite being in the shop for a while, they’ll be expecting him to go from zero to sixty faster than a Porsche 918 Spyder. If anyone can handle such an accelerated return to a huge role, it’s Morrissey, say both the Jets’ bench boss d-partner. In 59 games this season, Morrissey averaged a career-high 22:24 on the left-side of the Jets’ top defensive pairing alongside Jacob Trouba; his time on ice jumped closer to 30 minutes when the Jets were dealing with a rash of blue-line injuries in December. Morrissey will be right back with his bosom buddy, and it’s likely Nathan Beaulieu — who filled in for number 44 since the Trade Deadline and recorded five assists in 18 games — will come out of the lineup. Morrissey entered the season an elite player and elevated his game even further, consistently playing a key role in shutting down opponents’ top lines while finding a new gear on offence, putting up five more points (31) than the season prior (26) despite appearing in 22 fewer games. The M&M’s on the boards may look concerned that there will be no “easing in” period for Morrissey, but no one else is. What about the man himself? What does he think? Indeed, Morrissey, Trouba, and the rest of the Jets will have to be ready to go. None of them have even seen the true Blues — the team that was last in the NHL in mid-January but went 30-10-5 in their last 45 to tie the Jets with 99 points — as the four-game season series between the two clubs wrapped up on Dec. 7, when the Blues were still scuffling. The Blues’ top line of Brayden Schenn, Ryan O’Reilly, and Vladimir Tarasenko are as dangerous as they come. 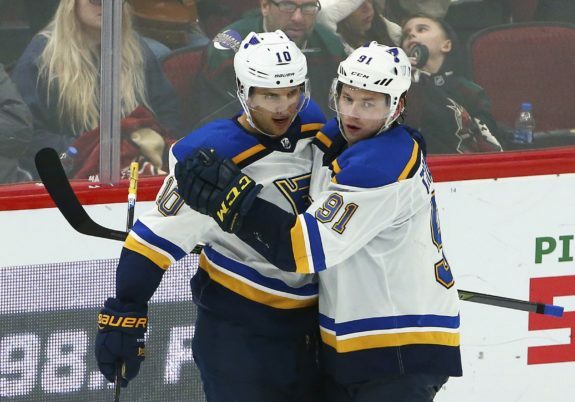 Schenn piled up 37 apples, O’Reilly set a new career-high with 77 points, and Tarasenko recorded his fifth-straight 30-plus goal season. Their second line of Jaden Schwartz, Oskar Sundqvist, and David Perron also has offensive punch, combining for 123 points this season. That’s not even to mention offensively-adept blueliners such as veteran Alex Pietrangelo and savvy youngster Vince Dunn, who put up 41 and 35 points, respectively. There’s no denying that it would have been good for Morrissey to see some game action prior to the playoffs, but there’s also no denying that the Jets’ d-corps is infinitely better with him on it, and that putting him right back on the top pairing is the right move. The #NHLJets have a record of 36-19-4 when Josh Morrissey is in the lineup and they are 10-11-1 without him. Dustin Byfuglien also recently returned to the fray. When combined with Morrissey’s return, it should make it them less likely to relinquish third-period leads like they’ve made a bad habit of doing this season, especially over the past month that’s seen them play their most listless and lifeless games of the season. 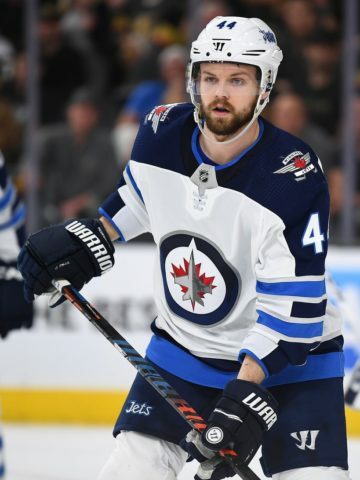 “Those two guys… I don’t know how you want to rank them on our team: Josh plays against the other team’s best and Buff’s a force, so having them back in the lineup just makes you as good as you can be,” Maurice said Tuesday when asked how different the Jets could look with all their defensemen healthy for the first time in a long time. 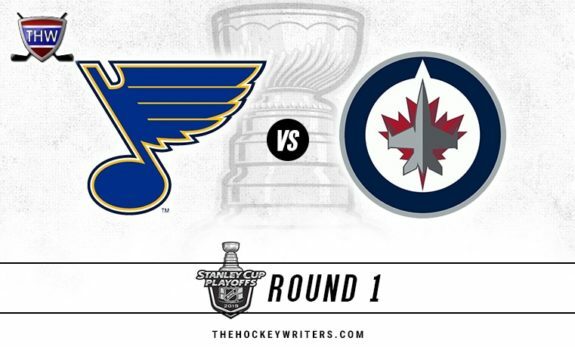 The Jets will have to be as good as they can be to best the Blues. In the Stanley Cup Playoffs, there’s nothing left to conserve fuel for, just one Cup at the end of a long, arduous road. The Jets must live and die by their best players, and Morrissey is one of their best. Morrissey will be afforded the opportunity to be a game-changer in the first-round series between the Blues and the Jets. Although it seems Morrissey is ready to jump right back into his role as a top-line, shut-down d-man, if the Blues end up being too fast for him, the Jets can’t say they left anything in the tank if they allow him the chance keep the Blues’ best in neutral.